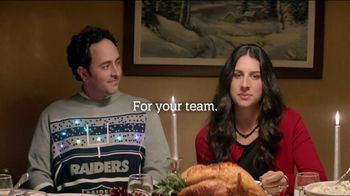 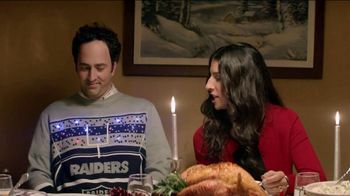 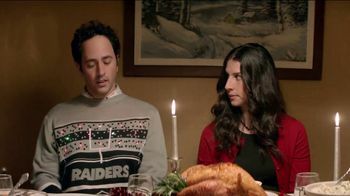 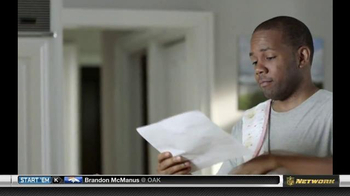 A woman informs her significant other that he can't wear an Oakland Raiders jersey to her family's Christmas dinner. 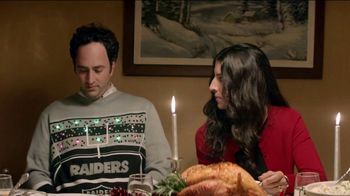 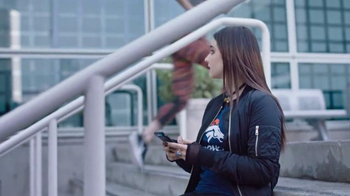 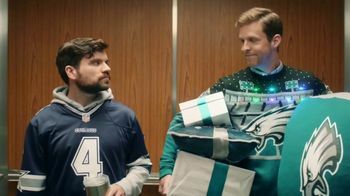 He takes it off, and to her surprise, he's wearing a light-up sweater depicting the team's stadium. 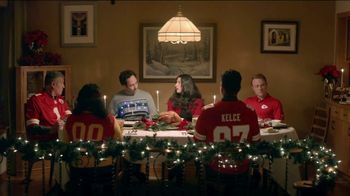 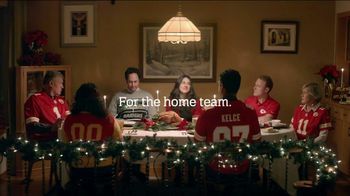 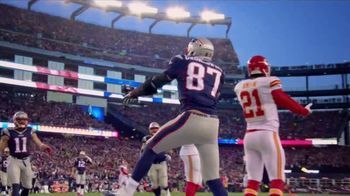 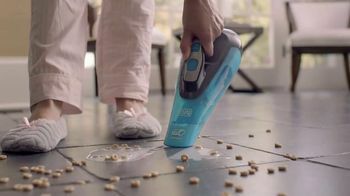 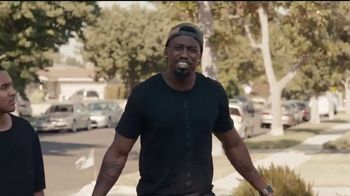 They dine in awkward silence among her entire family of Kansas City Chiefs fans, and she begs him to turn the lights off – even the dog growls in disapproval. 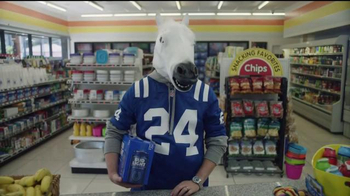 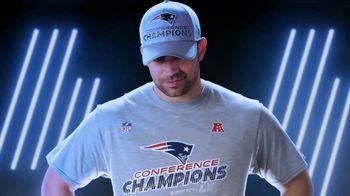 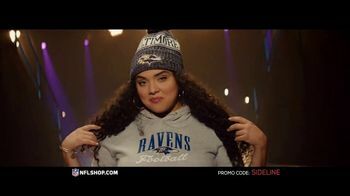 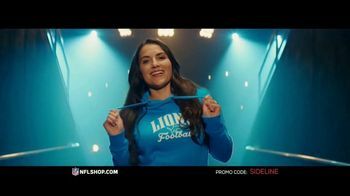 The NFL shop offers a 20 percent discount on all purchases for a limited time.